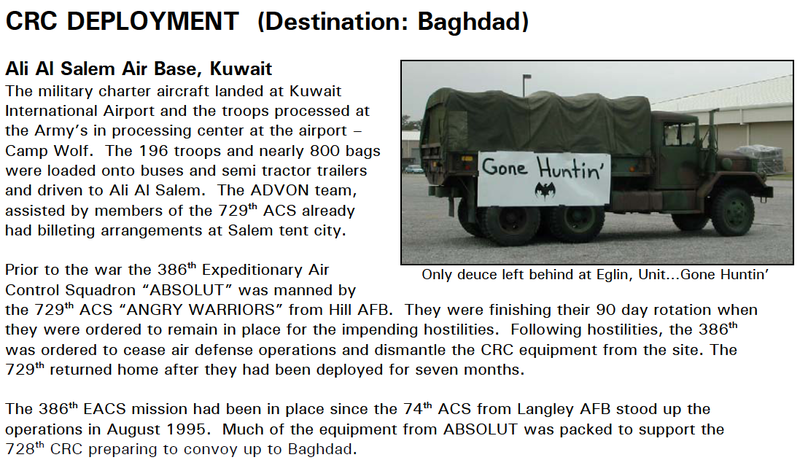 To establish a single source of facts documenting the 728th Expeditionary Air Control Squadron‘s deployment to Baghdad in support of Operation IRAQI FREEDOM (OIF). 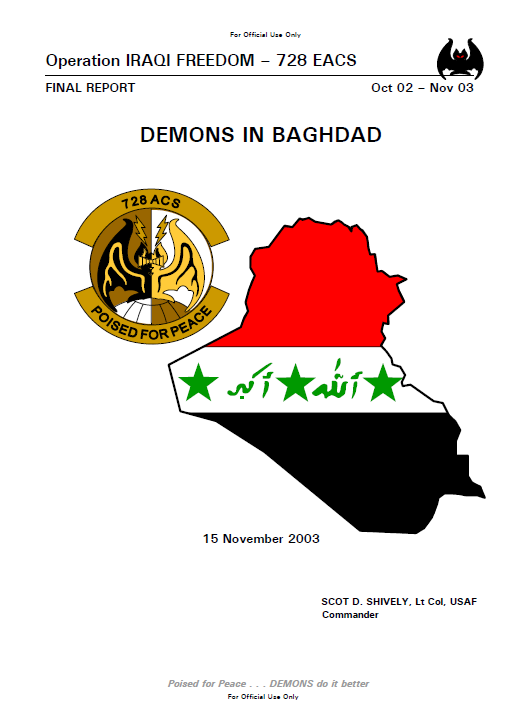 This final report is based on information collected from each of the squadron’s work centers in garrison, prior to deployment and during operations at Camp Griffin, Baghdad International Airport, Iraq. repression of the Iraqi people.